Rob Robillard is a general contractor, carpenter, editor of AConcordCarpenter.com. I want to thank everyone for their feedback these past few weeks. Ice dams and the damage they caused are still fresh and raw in everyone’s mind, but warmer weather is here, and we need to press on. A lot of plaster demolition, repair, and replacement is happening lately, and this is a perfect time to discuss dust containment and control. During remodeling, contractors create the most dust during demolition and drywall and plaster sanding. That dust travels with the airflow of the house and creates a lot more hazardous conditions than your typical dust bunnies. Smaller dust particles — including ones you cannot see — are the most hazardous. They are lighter, stay in the air longer, and travel farther than larger particles. Unfortunately, if not eliminated from the air, these particles can cause both short-term health problems like respiratory irritation and long-term problems such as cancer. 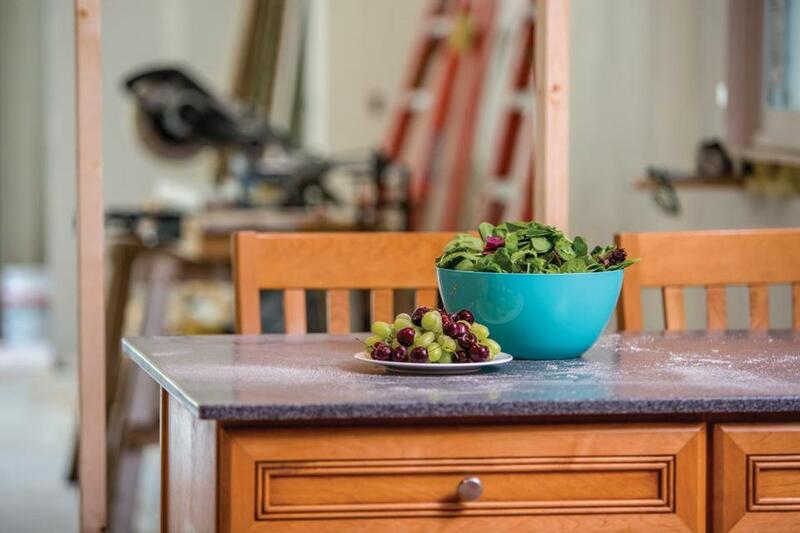 For many years I’ve been asked a similar question: “How can I comfortably live in my home during remodeling?” The answer is to hire a contractor who follows best practices when dealing with dust. These contractors practice “livable remodeling,” minimizing dust, allowing the clients to stay safely in their home, and demonstrating that the homeowners’ health and well-being are top priorities. Second-time remodelers and savvy first-timers know how important indoor air quality is. Many homeowners say job-site dust is the most serious inconvenience of remodeling. In a survey the Joint Center for Housing Studies of Harvard University released in December, roughly 1 in 4 homeowners expressed concern that their home might be negatively affecting their health. What were they most worried about? Air quality. If you have poor indoor air quality now, remodeling is going to ramp that up big time! Why don’t people just move out for the duration of the remodel? Well, it’s costly, and who wants to uproot their family and move in with their in-laws or into a hotel for several months? There is a much less stressful solution: Insist on a livable remodeling plan. Owners often don’t ask questions until it’s too late and dust fills their home. In today’s day and age, contractors should have the tools they need to create a livable experience for you and your family, pets included. 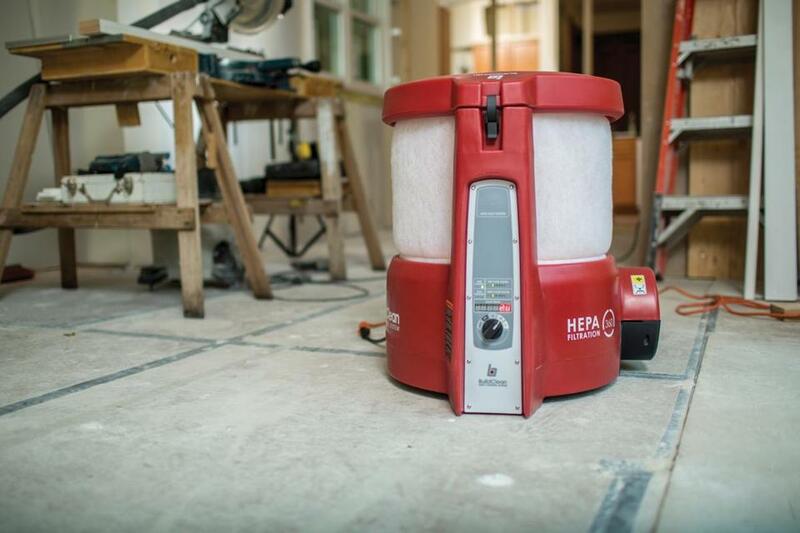 They need to use the latest technology, such as the BuildClean Dust Control System, a high-efficiency particulate air (HEPA) scrubber that eliminates up to 90 percent of airborne dust; deploy dust containment walls; and turn on vacuums to collect dust as it is being created. Looking for a “clean” contractor Many remodelers are letting potential customers know they care about livable remodeling and often mention that on their websites. That’s a great start. Asking your contractor about a livability plan It should cover all aspects of the job — from work hours to dust control — to ensure that your family’s day-to-day life is minimally affected. Insisting on excellent indoor-air quality You deserve it. Make sure dust doesn’t get near your family, pets, and food (oh, yes, and your toothbrush). Informing your contractor of any health conditions Let your contractor know of any allergies or health complications your family or those who may come in and out of your home may have. This helps the contractor take special precautions when creating a mess in your home. 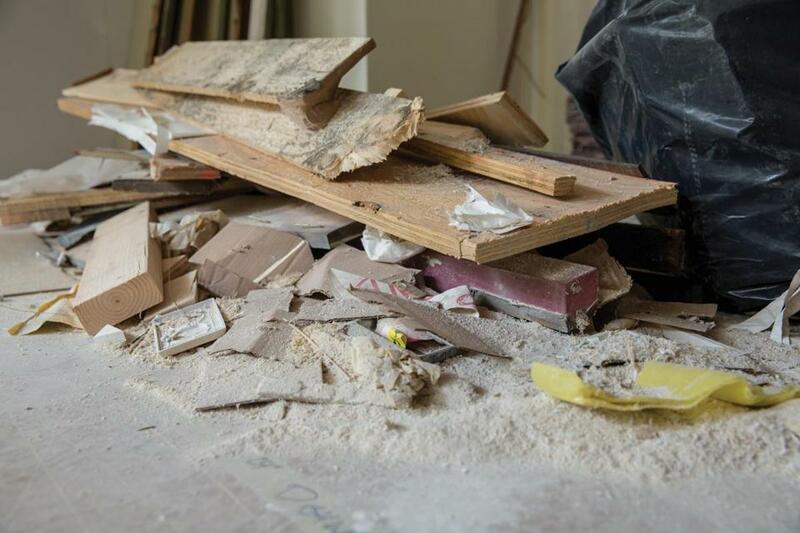 Yes, there’s a mess, but you don’t have to accept the dust and the dangerous living environment that it can create. Q. I’ve purchased a new town house. It already had a polished porcelain-tile floor in the master bathroom. Although it has a high-gloss shine, there is a hazy film on many of the tiles. I’ve called in the installer and followed his suggestions: Mr. Clean Magic Eraser, ammonia and water, and/or a no-rinse cleaner. I tried each of these separately, and nothing has worked. I’m apprehensive to wash the floor again for fear of spreading this haze to the other tiles. The installers are at a loss to explain what is going on. Any suggestions? It’s a pretty floor, but the haze spoils the appearance. A. I reached out to Ted McFadden, my new friend and stone adviser, who owns and operates Sureshine Care and Restoration Services (www.sureshinecares.com ). He wrote a book on stone care and is chairman of a committee at the Marble Institute of America working at establishing best practices in care and cleaning. 1. When porcelain tiles are shipped, the manufacturer might apply a very thin wax to the surface. This wax prevents damage from incidental contact and is so thin that it is usually removed during the grouting and cleaning process. We use a water-based stripper to remove the wax. Because the homeowner has already tried ammonia, he or she may have the second possible cause; if the haziness extended across grout lines, I would conclude that this is the problem. 2. Recently a lot of polished porcelains have been imported with hazy spots that are actually honing or polishing marks made during production. Our solution to this is polishing the surface with a cerium oxide powder. We use a small amount on a low-speed polisher. Start slow and ease the speed up as the slurry begins to dry. Rob Robillard is a general contractor, carpenter, editor of AConcordCarpenter.com, and principal of a carpentry and renovation business. Send your questions to homerepair@globe.com or tweet them to @globehomes or @robertrobillard.